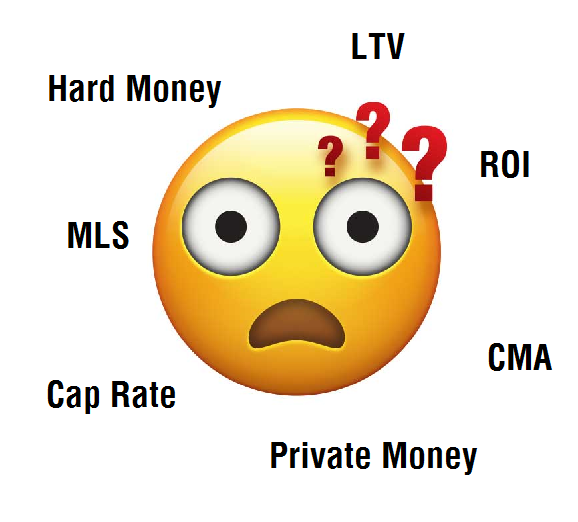 MLS, LTV, ROI, CMA, Cap rate, Hard Money, Private Money Ever wonder what all those acronyms and terms that investors throw around mean? We will be discussing and explaining what these words mean and hopefully many more! Ever wonder what all those acronyms and terms that investors throw around mean? We will be discussing and explaining what these words mean and hopefully many more!